A little over a year ago, on the night of 22 September, Tamil Nadu chief minister J Jayalalithaa took ill and was rushed to Apollo Hospital. 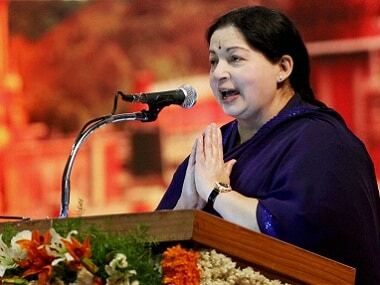 During her stay, the government and hospital periodically released information stating that the AIADMK chief was on the road to recovery. There were even reports of Jayalalithaa taking up official duties from her hospital bed. All is well, the people of Tamil Nadu were repeatedly told. And then, on 5 December, to the surprise and shock of many of her followers, Jayalalithaa passed away. While the doctors said Jayalalithaa suffered a massive cardiac arrest, the whispers surrounding the circumstances and nature of her death refused to go away. 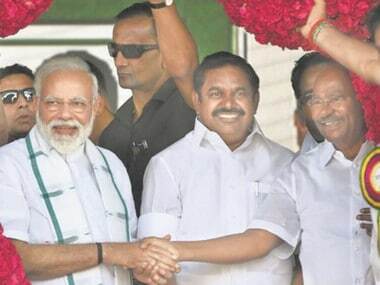 Meanwhile, the people of Tamil Nadu watched political chaos reign as her followers walked on the shifting sands of allegiances and betrayals, trading allegations and counter-allegations in their quest for power. On 8 February, then Tamil Nadu chief minister O Panneerselvam alleged that he was not allowed to meet Jayalalithaa even once during her hospital stay, which directly contradicted the press release his own government put out on 27 September. “For 75 days I went to the hospital. But I could not meet her even once. Even my family members used to ask me every day whether I met Amma. At one stage, I even thought of lying that I had met her. 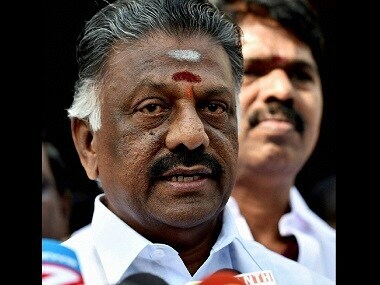 But I did not do so,” Panneerselvam told a Tamil TV channel. Panneerselvam further alleged that no political leader was allowed to meet her at Apollo Hospital. Panneerselvam, who was allocated the portfolios held by Jayalalithaa during her hospitalisation, said he explained to his family that visitors were not allowed since she was in the intensive care unit and there was a possibility of infection. “We were informed that Amma was recovering. We were confident. When we came to know that Amma has passed away, we felt we have lost all our powers,” he said. According to a report in News18, in early February, AIADMK party veteran PH Pandian held a press conference and made a series of allegations: He said he had learnt Jayalalithaa was depressed, she had an argument with someone at Poes Garden and collapsed after being pushed by "someone". Pandian further alleged that Jayalalithaa was taken to hospital to avoid suspicion and stated that Sasikala was unfit to be chief minister, according to the report. 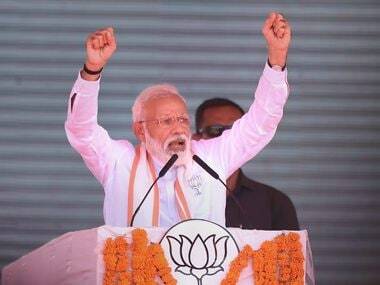 "I remained silent since the death of our former chief minister, but the scenarios of Tamil Nadu politics in the past two days have been disturbing me and are pushing me to confess a lot of truths regarding Jayalalithaa's passing," he said, according to this Firstpost report. Pandian told reporters: "Ever since Jayalalithaa was admitted to the hospital, no one was allowed to meet her except for a few senior ministers and AIADMK's present general secretary VK Sasikala." He claimed that security personnel were told not to admit anyone into the ward in which Jayalalithaa was receiving treatment, according to the Firstpost report. In May, OPS, now the former chief minister, once again raised doubts over the veracity of Jayalalithaa's treatment and the doctors' version of events, according to a report in Deccan Chronicle. “I too consulted with some of my officers about some of the treatment methods on which I had doubt. Initially we believed what the doctors told us; however, we now demand inquiry into the death of Amma as the party cadres and public are not convinced with the doctors’ version on the issue,” he told Deccan Chronicle. The rumours, which were bubbling underneath the surface, went into overdrive Friday after Tamil Nadu minister for forests C Sreenivasan created an uproar by seeking an apology from the people for "lying" about Jayalalithaa's health condition when she was admitted to Apollo Hospital. Speaking at a public meeting in Madurai, around 500 kilometres from Chennai, Sreenivasan said: "We would have told lies that she (Jayalalithaa) had idlis and people met her. The truth is that nobody saw her." Sreenivasan said he is seeking apology from the people now for "those lies". Sreenivasan said even the national leaders used to sit in Apollo Hospitals Chief Pratap Reddy's room and the AIADMK ministers would also be seated in that room. 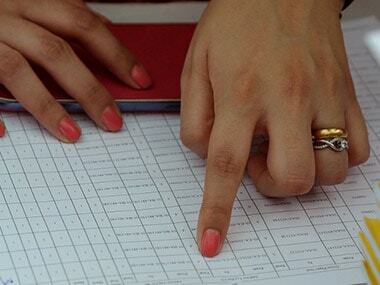 "We all lied then so that the party's secret does not get leaked," Sreenivasan said. He claimed nobody met Jayalalithaa in her hospital room. By Monday, it seemed as if the Tamil Nadu government had heard enough, ordering an inquiry commission headed by Justice (Retd.) Arumugasamy probe into Jayalalithaa's death. The official release said: "To conduct inquiry and submit a report on the death of former Chief Minister J Jayalalithaa, an inquiry commission headed by retired high court judge Justice Arumugasamy has been constituted." But the government announcement came even as sidelined AIADMK leader TTV Dhinakaran asserted he would submit before any probe agency a video of Jayalalithaa shot by his aunt VK Sasikala. The video of Jayalalithaa, attired in a "loose nightie", was shot by Sasikala after the former was shifted from the ICU to a room in the hospital, he told reporters. On Tuesday, Sreenivasan's claim claim that no one was allowed to see Jayalalithaa in the hospital was refuted by Tamil Nadu minister Sellur K Raju. However, interestingly, Reddy refused to comment on whether ministers indeed met Jayalalithaa. On Wednesday, Tamil Nadu minister OS Manian waded into the "they said/they said", stating that the health minister and the Apollo Hospitals chairman had briefed him about her Jayalalithaa's health status. "We were given updates on her health status by (health minister) C Vijayabaskar and Apollo Hospitals' chief Pratap C Reddy," he told reporters. On Wednesday, Reddy, welcomed a judicial probe into the mystery surrounding Jayalalithaa's death and said the hospital will cooperate with the authorities regarding the probe. The hospital also reportedly handed over a timeline of events that took place since her hospitalisation leading up to her death. On Thursday, CNN-News18 accessed Apollo Hospital's medical report made at the time of her admission. Jayalalithaa was in danger when she was admitted and her condition was bad, according to the report. The fact that Jayalalithaa was in ill health when she was taken to the hospital seemingly puts to rest the notion of a 'conspiracy' into her death, as some have alleged. However, it seems that the only hope for real closure is the report of the inquiry commission, which is expected within three months. 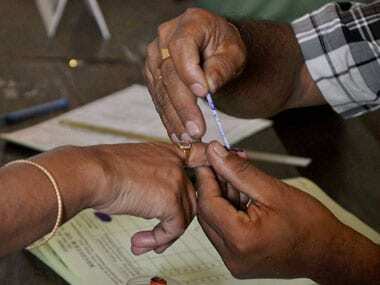 For many of the Tamil Nadu public, that can't come soon enough.